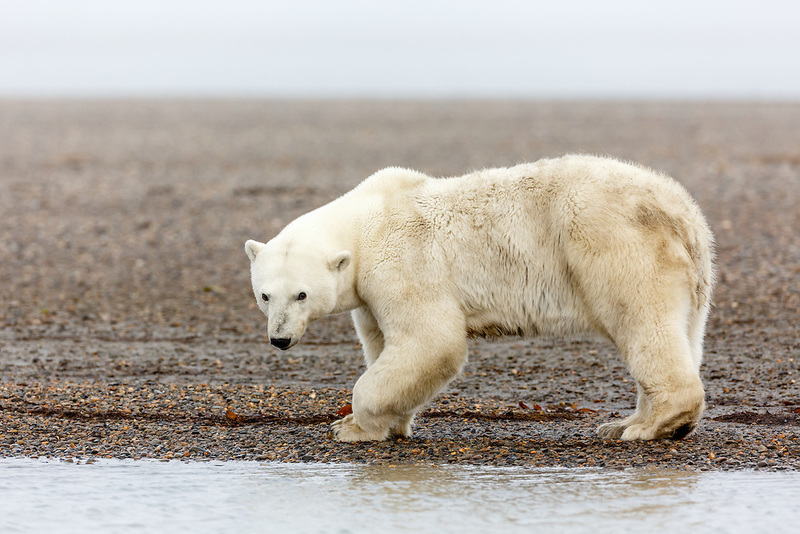 Remale polar bear (Ursus maritimus) foraging on spit on Barter Island near Kaktovik in the Arctic National Wildlife Refuge in the Far North of Alaska. Autumn. Morning.